In addition to painting, Kandinsky was an art theorist; his influence on the history of Western art stems perhaps more from his theoretical works than from his paintings. He helped found the Munich New Artists' Association, becoming its president in 1909. However, the group could not integrate the radical approach of Kandinsky (and others) with conventional artistic concepts and the group dissolved in late 1911. Kandinsky then formed a new group, the Blue Rider (Der Blaue Reiter) with like-minded artists such as August Macke and Franz Marc. The group released an almanac (The Blue Rider Almanac) and held two exhibits. More of each were planned, but the outbreak of World War I in 1914 ended these plans and sent Kandinsky back to Russia via Switzerland and Sweden. His writing in The Blue Rider Almanac and the treatise "On the Spiritual In Art" (which was released in 1910) were both a defense and promotion of abstract art and an affirmation that all forms of art were equally capable of reaching a level of spirituality. He believed that colour could be used in a painting as something autonomous, apart from the visual description of an object or other form. These ideas had an almost-immediate international impact, particularly in the English-speaking world. 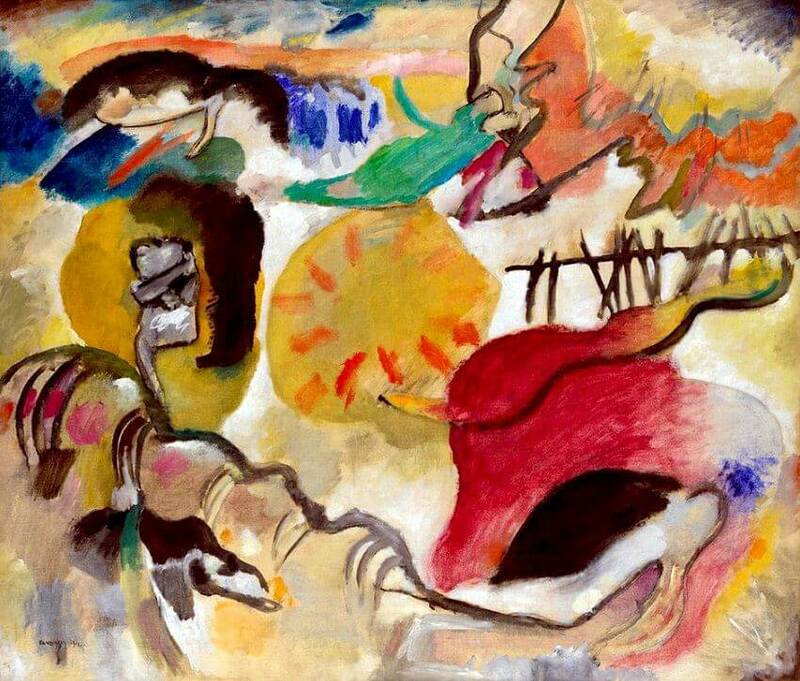 In 1913, Kandinsky was invited to participate in Armory Show, in which Improvisation 27 was first exhibited. Now Improvisation 27 is a permanent collection of Metropolitan Museum of Art.